Homeowners are living larger than in the past. Despite stagnating wages, a disappearing middle class, and a widening equality gap, the houses Americans are building, buying, and occupying are bigger than ever. On average, today’s new houses are larger by 1,000 square feet, compared with those the former generation purchased in the 1970s. And because more people are now living alone or with smaller families, the living space per person is almost twice that compared with new houses built 43 years ago. Americans have always dreamed big. In the 1940s, Eric Hodgins wrote the instant best seller Mr. Blandings Builds His Dream House, complete with illustrations by Shrek! author William Steig. Later a comedic hit starring Cary Grant, this everyman story follows Mr. Blandings as he forsakes his cramped urban apartment and moves his wife and two children to the country, where they build the house of their dreams, with all the conveniences and “latest GE appliances” they can afford. 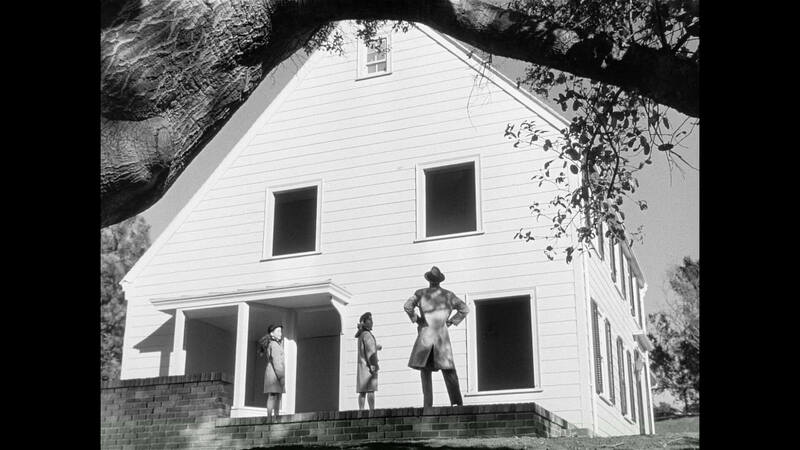 The studio built the house (above) on the old Fox ranch property to film the movie, and company executives raffled off 73 similar “dream houses” across the United States, from Arkansas to Washington, to promote it. The original model still stands in what is now California’s Malibu Creek State Park—an enduring tribute to the American Dream. Extravagant then, Mr. Blandings’s house is modest by 21st-century standards and statistics. Last January, in the Bel-Air section of Los Angeles, an ultra-luxury mega-mansion, the most expensive property ever listed in the United States, went on the market for $250 million. The four-level, 38,000-square-foot house, boasting 12 bedrooms and 21 bathrooms, is a fully furnished palace to opulence. The property includes a 40-seat movie theater, two stocked wine cellars, a state-of-the-art gym and spa, not to mention an infinity pool with swim-up bar, a helicopter landing pad, and a garage filled with exotic cars and motorcycles. But you don’t have to think that big to go big. Today’s cutting-edge customization options allow anyone, regardless of living space size or budget, to expand within his or her means. The irony that the leading trend of going big in home renovation is as old-fashioned as Mr. Blandings’s house is not lost. But it’s that very irony that makes it universally charged, and forever chased.